Providing superior, pedestrian friendly, waterproof roofing products for your balcony and rooftop deck areas than has previously been on the market, we are your Maryland decking specialist for both residential and Multi-Family, Waterproof Vinyl Decking and Roofing Membrane solutions. Our 15 Years of experience in the vinyl decking market has led us to supply what is simply the best vinyl membrane product manufactured today. As an Authorized Tufdek™ vinyl decking dealer, and a Member of the Maryland Building Industry Association (MBIA), we work with homeowners, builders, architects, and property managers throughout Maryland and Delaware. Our installers have undergone Tufdek’s™ comprehensive factory training program and we are proud to offer a 15-Year Warranty on all Tufdek brand roofing approved vinyl decking, for anywhere you need “walkable waterproofing,” such as flat roofs and roof decks, sundecks, or wood framed balconies. Thinking of replacing your old deck or building a new deck on your dream home? We’d be happy to explain how the Tufdek™ waterproof vinyl decking system works. We can also provide you with a no obligation, complimentary cost estimate to resurface your deck. 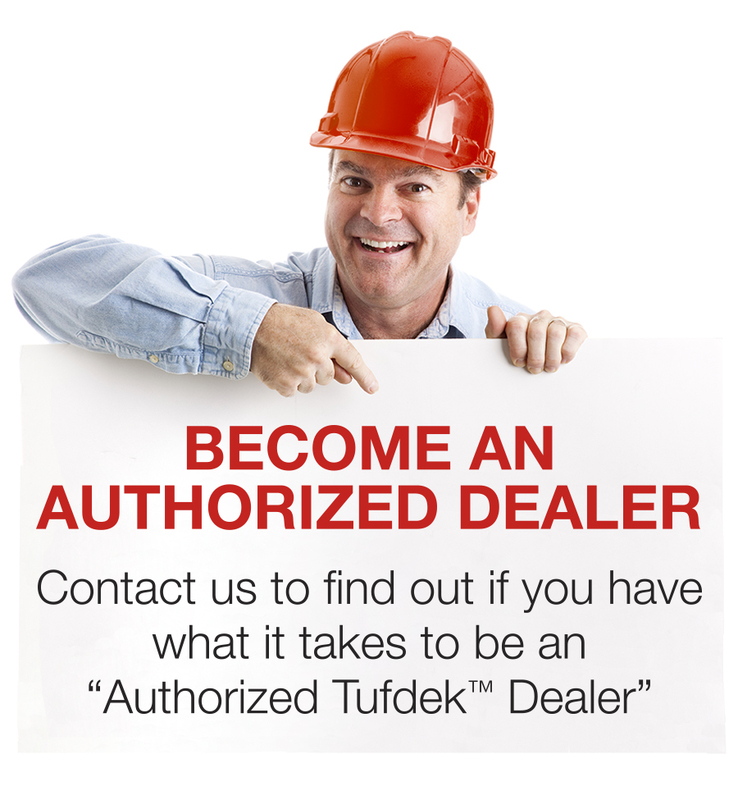 For more information on how our authorized Tufdek™ vinyl decking installers in Maryland can help you enjoy the benefits of waterproof vinyl decking products, call our Tufdek office toll free at 1-877-860-9333 or complete the following contact form.